Will marijuana be legal in Florida? As a Jacksonville criminal lawyer, I have represented many people arrested for drug charges in Jacksonville FL. When people think of drug charges, they usually think of felony crimes like possession of cocaine or ecstasy. They think of more serious offenses like drug trafficking. You can have a drug charge on your record after being arrested for a more minor crime. Sometimes, you do not even need to be arrested. Jacksonville possession of marijuana is a misdemeanor if you were in possession of less than 20 grams of cannabis. Police may issue a notice to appear citation instead of arresting you, but this will still show up on a Florida criminal background check. The same is true for possession of paraphernalia in Jacksonville. This could change for some people that would like to start using medical marijuana for medicinal purposes. There are Jacksonville residents who are proponents for a change in the cannabis laws. People have admitted to using marijuana as a pain reliever. People have reasoned, “We’ve got over-addictive drugs like oxycodone; versus marijuana, it’s not so bad.” As a Jacksonville criminal attorney, I have met many people addicted to prescription medication. I have represented people charged with doctor shopping, because they were trying to obtain more medications. I will agree. There are many prescription medications on the market that are highly addictive. These medications can turn a housewife or businessman into a drug addict, but does this mean that we should legalize marijuana usage under certain circumstances? You can watch the Florida Supreme Court oral arguments live on wfsu.org. There will be good arguments for and against medical marijuana legalization. The important thing to remember is that marijuana is not legal in Florida. 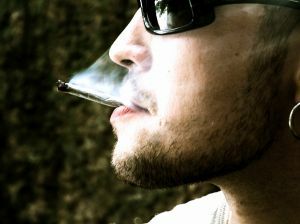 It does not matter if you smoke marijuana for a medical condition. It is illegal. If you get caught possessing marijuana, you will be arrested or issued a criminal ticket. If this does occur, contact a Jacksonville criminal attorney at 20 Miles Law. You may call (904) 564-2525 to speak with a Jacksonville lawyer with experience defending drug cases.